If you still haven't fulfilled your potential by midlife, don't despair. It's never too late to bloom! What age must you be to qualify as a late bloomer? I have a simple definition: A late bloomer is anyone who feels-especially by midlife-that they still have not fully bloomed or expressed what is in them, done what they are here to do, what they can imagine doing-and it hurts! Late Bloomer some will recoil at the term, others will nod their heads in recognition. And others may say If only I were Im still waiting to bloom. As a late bloomer myself, I have known the frustration of unfulfilled potential, of something inside that longs for expression. And I have a special message for late bloomers everywhere: Its never too late to bloom! Who is a late bloomer? What age must you be to qualify as a late bloomer? I have a simple definition: A late bloomer is anyone who feelsespecially by midlifethat they still have not fully bloomed or expressed what is in them, done what they are here to do, what they can imagine doingand it hurts! You may have bloomed early in youth, and then decided to grow up and become aresponsible citizen. And now that passion you put aside is demanding a come-back. You could be a Rainbow person of many gifts and interestswho has never followed one thread and lived it fully. Or who has yet to create your own unique synthesis and offered it to the world. You may have raised a family, earned a living, put others first, and now youre wondering What about me? Many women are late bloomers for this reason. You may have spent twenty or thirty years in corporate America and now youre ready to retire and do your own thing. Or ready to quit your job and find your vocation. You may be a re-bloomer. You may have already bloomed once in your life but now you want to re-invent yourself, plant new seeds, cultivate an entirely different flower. You could be someone who for any number of reasonspsychological blocks, habits, circumstanceshas not yet brought forth what is within you. And maybe youre afraid that its too late. I am here to assure you that its never too late! Forget the conventional timetables of society. Every individual has his or her unique rhythms and cycles of life. It doesnt matter why you didnt do it before. The ripeness of time and the pressure to express combine in perfect timing the time of now! If you are feeling the urgency of years passing and theres something you still want to do, you are at the peak of a wonderful opportunity. Urgency combined with clarity propels us into action. It is the lack of urgency that allows us to procrastinate our dearest dreamsbecause they have no deadlines. When life itself creates a sense of urgency, it wakes us up and we can take actions we couldnt take beforeespecially if we have help and support. Even if youre not sure what it is you want, the moment is still ripe tomove towards self-discovery, clarity, commitment, and action. Midlife now belongs to the Baby Boomers, a generation of dreamers who want it all and believe we deserve it, who continue to redefine every decade we enter. And boomers are expected to live at least another thirty years past fifty. Theres room for a whole second act, or even a third. If any group will bloom, re-bloomand continue to bloom, it is the Blooming Boomers! I created a whole new life for myself past fifty, and so can you. 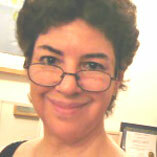 Tomar Levine is a Life Purpose, Career, and Creativity Coach, writer, artist, and group leader. She helps people reclaim their dreams, find their purpose and life path, and fulfill their creative potential, at midlife or beyond. She is a late bloomer herself and is proof that it's never too late to bloom! Visit her website, YourTimeToBloom www.yourtimetobloom.com, and download her free report: "Why This May Be Your Best Time to Bloom: 7 Tips for Flowering During a Recession." Tomar contributed the chapter, "Growing Up After Fifty: It's Never Too Late to Bloom" to the book, Overcomer's, Inc., Inspiring Stories of Hope, Courage and Inspiration.